What puzzles me, personally, is the need to denounce the existence of gods in every word written by atheists. I rarely, if ever, attempt to justify my belief; I assume my readers accept it and move on. When I read your work, I’m more interested in what you DO believe (and the practices through which you express those beliefs) then what you DON’T believe. Unfortunately most of what’s written by atheist Pagans seems to be about justification. It leaves me with the impression that all you do together is grumble about theists, but surely that can’t be the case. Clearly, you haven’t read much of my stuff. I rarely talk about theists at all. There are agenda warriors in every faction. You mean every word of atheists WHEN they are talking specifically about why they don’t believe in gods? Why shouldn’t atheists write about atheism? You should assume it’s the only thing they talk or write about though, that is absurd. I have to ask myself: how would I know if I was “expelled from the pagan community”? Is it something like being excommunicated, so that no one was allowed to speak to me, or give me food and shelter? Somehow, I don’t think so. Certainly, there are zealots of all stripes who would love to have that kind of interdictive power, but I don’t think that’s something I have to worry about, in this lifetime. So, yeah, as threats go, this one just seems pretty laughable. I mean, “Straighten up and fly right, or we won’t let you circle with our gang of closed-minded, vindictive, uber-pagans, and then, won’t you be sorry?” I think most of us have more important things to worry about. I do, anyway. A good start if you want to be respected by the broader Pagan community is to, I don’t know, maybe respect them too. I have enjoyed your blog, our views differ in the question of the existence of Gods but that has never bothered me, just as how I am not bothered by all over atheists around. My husband’s an atheist, most of my friends are atheists, so I’m kinda used to it. But you know, reading this blog post of yours all I could see was “go away” and “your gods are not real”. You are entirely entitled to think that but for crying out loud, to state that not as your belief but as TRUTH? To state with such certainty that our gods are no more real than Wilbur the Pig. So I suppose I am not welcome here, stupid ignorant believer as I am. I’ll just go worship Wilbur the Pig and leave you be. No one has called you “stupid”, and I would never do so. We have a cosmological disagreement, as I said, and if you are getting something out of reading the material here, it is probably the material that doesn’t have to do with that disagreement. I hope you will continue to visit. Oh but here you get me wrong. I don’t find it a good idea for theists to state with certainty that the Gods are real either. I believe in Them but am I some oracle who knows the Truth? No, I can only speak for my own faith. And so I can say that yes, I am certain the Gods exist. Not that it is fact that they do. And that is what I take offense with – not that you don’t believe but that you would state your belief as fact that overrules what others think. Do you see what I mean? You might have written this post in frustration at the idiots who would dismiss your beliefs and write you off as simply ‘wrong’, but don’t make the same mistake in return. Part of accepting and understanding each other is to realize that none of us might hold the actual Truth, we simply don’t know. We can only speak for our own minds, our own experiences, our own faith. And that has to go BOTH ways. Or rather all ways. Fny, I can understand that position: it’s agnosticism. That said, in an atheistic space, there isn’t anything wrong with being positively declarative about our beliefs, just as many theists are in theirs. I don’t have faith. I have what science tells us–I don’t need faith because I have EVIDENCE. Others may have different opinions, but they do so based on experiences rather than evidence, and given how easily the human brain fools itself, I do not consider experiences to be evidence. You prioritize your experiences differently, and that’s fine. But fundamentally, this post is about people who tell me a) that their gods are real, and this is a fact; and b) that what I do is not a religion, and not in any way valuable. In fact, the people who provoked this post use words like “feeble”, “asinine”, “laughable”, “LARPing”, and “masturbatory” to describe my religion. I haven’t dropped to their level by any means, and to suggest that I have is a false equivalence. — That is absolutely disgusting and unacceptable. I’m sorry you have had to deal with that sort of people, really. — I wouldn’t actually say that, no! Because I am in fact certain that the gods do exist, there is no doubt. I see how that may look strange considering what I said earlier, but for me there is no real opposition in it. I am certain of my faith, but I also accept that I might be wrong, or that there are multiple truths, or simply more to it than I understand. But that’s not really the point here so moving on. — Please, please realize that stating that our gods are the equivalent of a cartoon pig, and the implications of what that makes US, the theists, is in fact very insulting. It makes us out to be laughable as well, without using the word “stupid” as I mentioned the implication is there. Am I being overly sensitive? Maybe, I don’t know. But it hurt nonetheless. Anyhow, I’ll stop there. I am truly sorry you guys experience the sort of abuse you do, you don’t deserve it. Best of luck. I’m not completely sure of some details of your policy statement, Mark. Let me try some thoughts, and see if you agree. 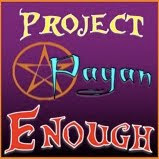 First point (we agree here) – Everyone who considers themselves Pagan are “Pagan”. There is no creedal test (or practice test – where if you miss a Sabbat or something you aren’t Pagan). Saying someone is “not a real Pagan” or “a non-practicing Pagan” or “that type of Paganism is not a real religion”. are all the same type of denigration that many of us have been attack with from the wider society as part of Christian privilege, and I hope we are better than that. Second point- All statements of belief/non belief are acceptable. “I firmly believe that my Goddess is real.” Fine. “I’m certain there are no real goddessess.” Fine. That second point is why I think we all need to realize both that all people deserve respect, and that ideas (like corporations) are not people. People deserve respect. Ideas deserve to be discussed, tested using evidence, tried out, accepted or rejected, etc. If someone disagrees with my idea, that in no way insults me, because I am not just my idea. In fact, insisting that ideas deserve respect is the basis for blasphemy laws, and has the actual effect of disrespecting real people. We can’t have both the requirement to respect people and to respect ideas – it’s one or the other, and in a free world, it has to be people that deserve respect – not ideas. Third – I’m struggling with how to deal with statements of universal truth, depending on where they are made. For instance. 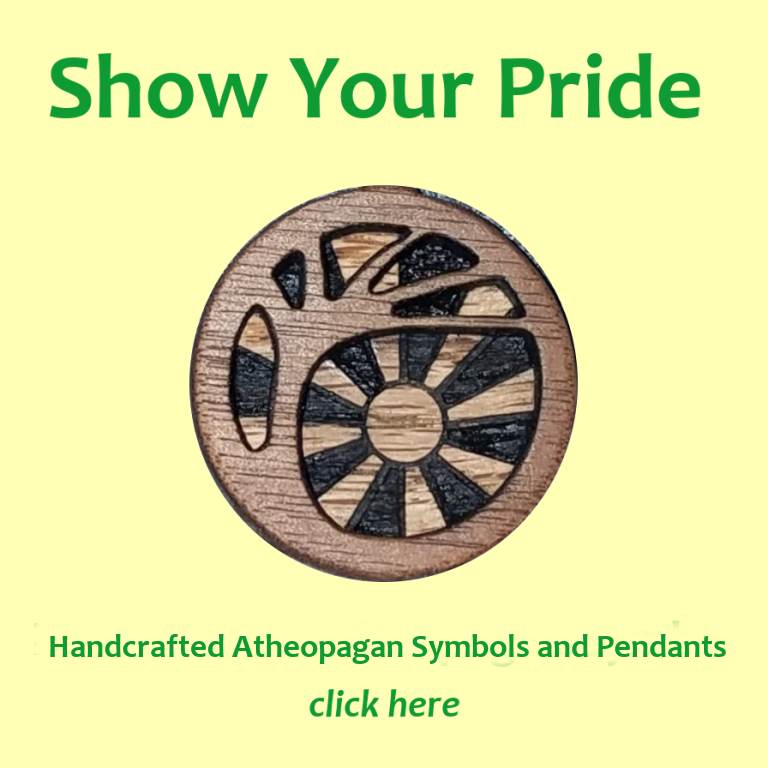 if a Pagan said “my god Hunab-ku is real” in a general Pagan place (say, in the vendor area of Pantheacon), and next to them, another Pagan said “my god Odin is real”, then there is a contradiction. After all, Odin is the supreme god according to the Norse religion, and Hunab-ku is the supreme god according to the Mayan religion. They can’t both be the supreme god in reality. Add to that another Pagan who says “I don’t think either are real”, and all three disagree. For areas that are mostly for one segment of the Pagan population, universals statements of truth seem fine – for instance, on an Asatru-only blog, saying “Loki is very active today, don’t try to launch any big projects”, or on a non-theist-only blog “many people love their gods, even though we know they aren’t real entities.”. During rituals or other poetic spaces and times, I hope we all operate under the assumption that each of us may understand the words used in different ways, an are OK with that – or don’t attend the ritual. I think friction comes from at least two main cases. The first is where someone starts making universal truth statements in a perceived or real general Pagan place. If they get challenged, they might feel they have the right to make their claim without it being questioned or anyone else being allowed to make a similar statement, and then people who notice the double standard rightly object, and an argument ensues. Another common case is where someone makes a makes a universal truth statement in a more private place or blog, and someone objects to it in their own more private place/blog – and arguing blog posts ensue. Perhaps we need to be more clear about what spaces are, and are not, general Pagan places? And be fair and inclusive to all Pagans in those places, while being content with statement we don’t agree with in more focused places? I agree with all of these, Jon. 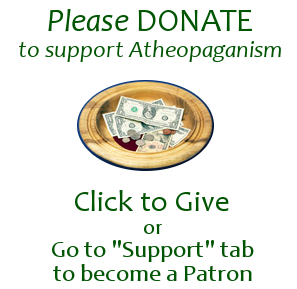 The Atheopagan blog is a space for nontheist Pagans–others are welcome to read, but the material isn’t written for them and they may find some of it offensive or not to their taste. Thus, I am confortable making statements of facts (“Gods aren’t real”) here that theists may disagree vigorously with. As I said, I don’t feel a need to clash with theists until they start wanting me either to leave my own community or to act as if their ideas are beyond questioning. Otherwise, what they say and do has little relevance to me unless we’re not talking about theism specifically. The theistic pagan said she didn’t believe me and left. One of my Atheopagan friends challenged me, saying Gaia hadn’t spoken to me. Likewise when Gaia appeared before me and spoke to me it wasn’t her whole body that spoke. It was the part of her that is one of my Atheopagan friends. Agreed she may be of more than one mind on the issue. In fact, she is probably on the order of a sextillion minds on the subject. But that doesn’t make anything I said untrue! I would feel bad about having misled the theistic pagan, but she had just told me that the soil under her feet had told her to return to Spain, to the land of her ancestors and that I too should return to the land of my ancestors. I was a bit incredulous at that. Was I supposed to send my arms to Ireland while most of the rest on me applied to emigrate to France? Ridiculous. An interesting explanation of what appears to be something like pantheism, Eric. But to my mind, the extension of a metaphor to include other people doesn’t make the metaphor real. Your mileage obviously varies. Thank you. 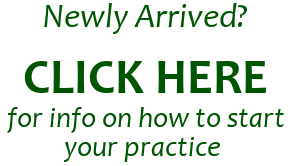 Any practice that is exclusionary is off putting to me. Believe what you wish and I will believe what I wish. Live. No one knows. I saw nothing at this site that showed it “unreasonable to be an atheist”. I am not going to debate with you whether gods in the sense you are describing yours exist: the available evidence indicates that it is highly likely that they do not, and that’s good enough for me. DId you look at the time stamped emails and notes and compared them to my claims. It’s kind of difficult to make that up. I have more emails and notes of supernatural occurrences I could show you so you can give yourself a fair inquiry if you’d like. Coincidences aren’t evidence of causalities. It is clear that you are a believer, and are choosing not to consider how rational that belief really is. There is no credible evidence of supernatural phenomena in the Universe, and that includes gods. As I said, I’m not going to debate this with you. Please go somewhere where your opinion will be welcomed.